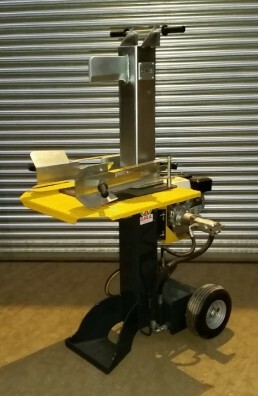 A log splitter designed for large rings of timber. 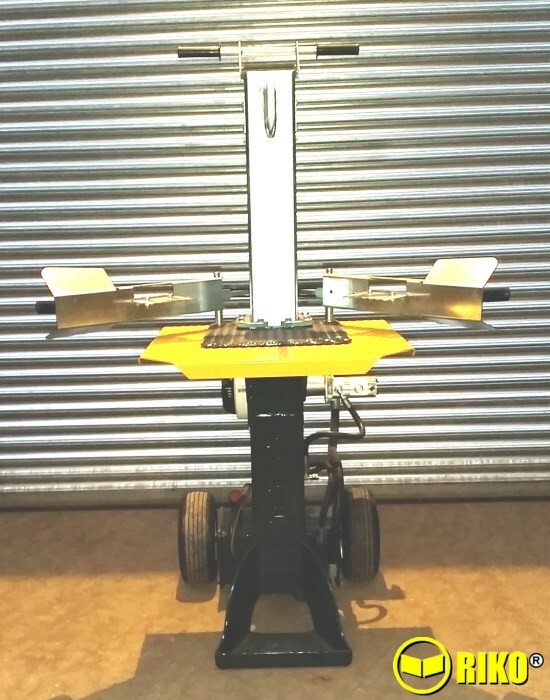 The splitting table is around waist height and its rubber wheels and handles make it easier to move on rough ground. 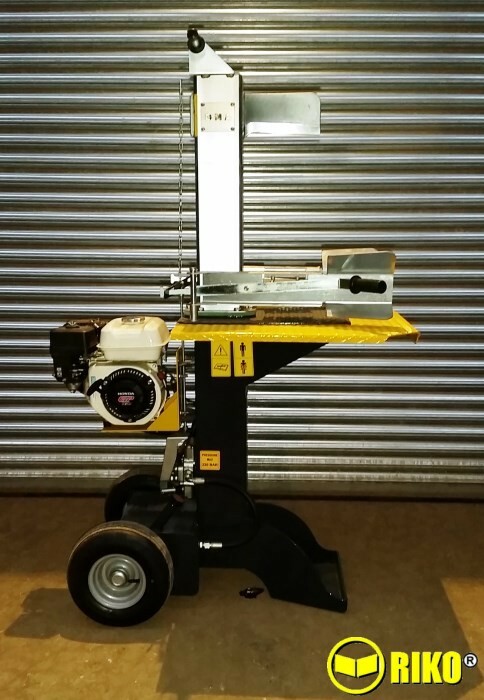 A log splitter designed specifically for large ‘Rings’ of timber. 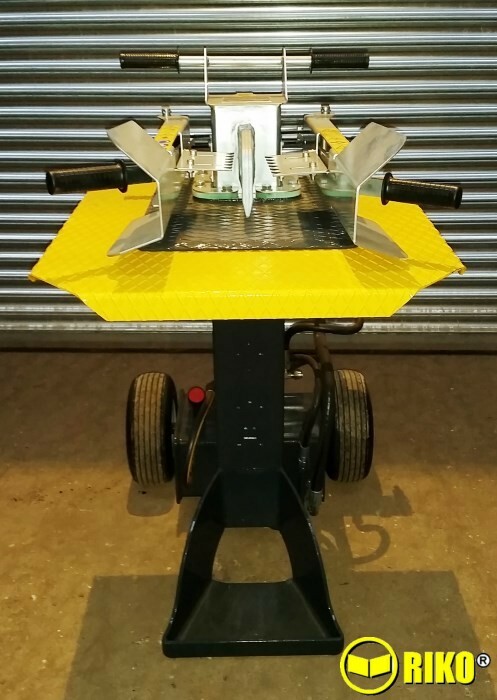 Very user friendly as the splitting table is around waist height, the control handles help grip the log & the height of the knife can be varied. Options of electric, petrol, tractor PTO or hydraulics. Large rubber wheels and handles on the top of the spltter make it much easier to move round on rough ground. This professional log splitter will take log ‘rings’ up to 30 Inch diameter and with heights from 6 inch / 150mm up to 21 inch / 53cm. The table is around waste height as are the two handles which conveniently hold the log securely so it can’t fall on the ground whilst splitting. When you let go of both controls levers and are picking up your next log the splitting cylinder automatically returns to your chosen, pre-set, height ready for the next log to be put on the table. 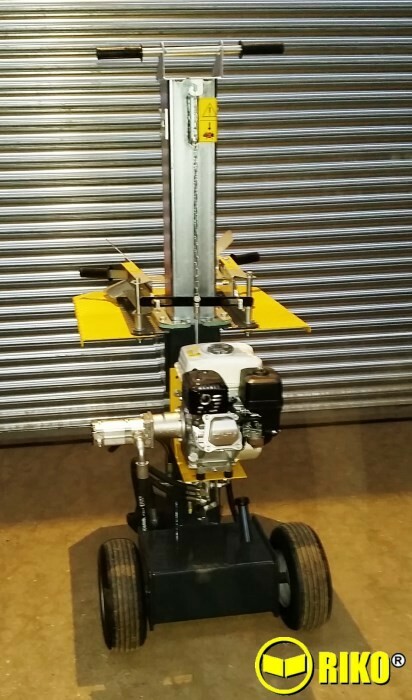 There is an optional 4 way split knife and the splitter is available as: 240vlt, Honda petrol engine, PTO, Tractor linkage or a combination of any two. The 240 volt model will run off a 13amp 3 pin plug. There is a petrol engine model and a tractor model that will run off the tractors PTO. Wheels are standard so it’s easy to move about.